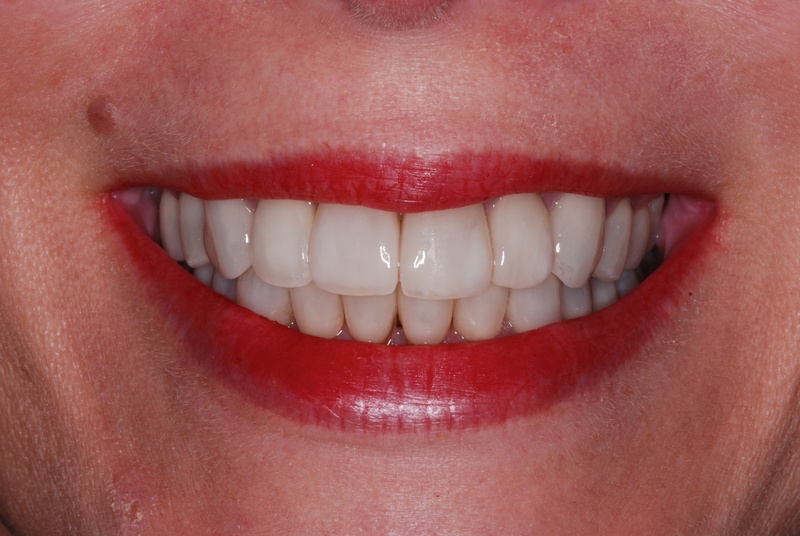 This beautiful smile was achieved after recession coverage, removal of the residual caries (decay), and fabrication of porcelain laminate veneers. 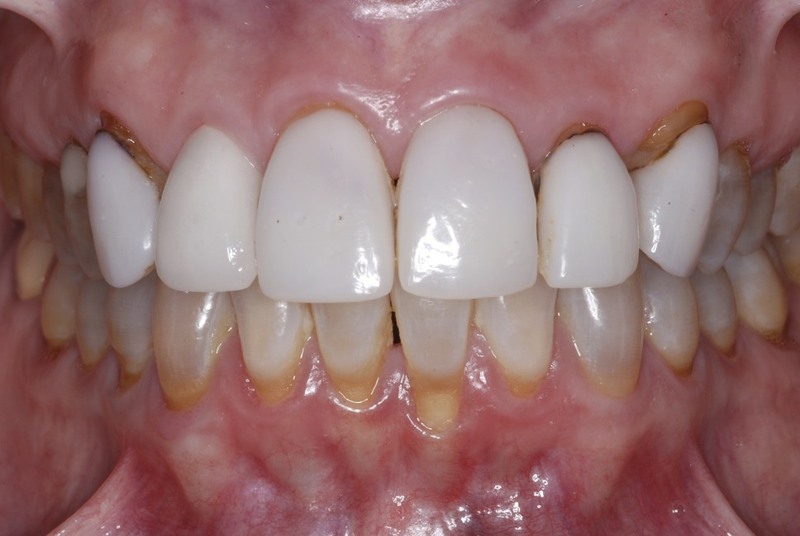 The recession coverage graft (or gum graft) consisted of a subepithelial connective tissue graft combined with a coronally advanced flap. More info about the author: Alessandro Geminiani, DDS, MSc, MS is a specialist in periodontics and dental implants. His practice focuses on recession coverage in Rochester NY, and smile makeover in Rochester, NY.